As we spend more and more time in our cars it doesn't take long for it to get full of clutter. Depending on your stage in life, your car could be full of toys, books, snack wrappers all the way to work papers, maps and more. The back seat especially becomes full and when you take a sharp turn everything goes flying right? Under the seat can be the worst place that snacks end up. Our family used to clean cars for a business, and we used to get customers complaining their car smelled even after they emptied out all the old sneakers, or beach towels, or the garbage they could find, they just couldn't get rid of the smell. Do You Have Science Projects Growing Under Your Car Seats? Well we would get right down to the floor level and peer under the front seats with a good flashlight and you would be amazed what science projects were growing under there! Old pudding cups that were not quite empty, old sandwiches, it is amazing what ends up under there. Trying to stay on top of the garbage and the clutter can be difficult as we fly from one event to another, but if you can carve out even an hour on the weekend to simply empty the car you can not only organize it you will find these things before they become science projects! 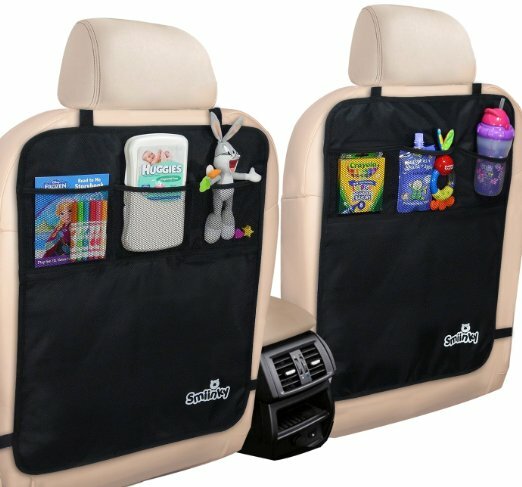 This is perfect for kids in car seats, and places to keep kids toys. It would be nice if they put them back there afterwards but chances are you will need to do a quick pick up when you are done driving around but at least you will have a place to put toys etc. If your kids are at that special age where their feet kick the back of your seat perfectly, then this might work best. 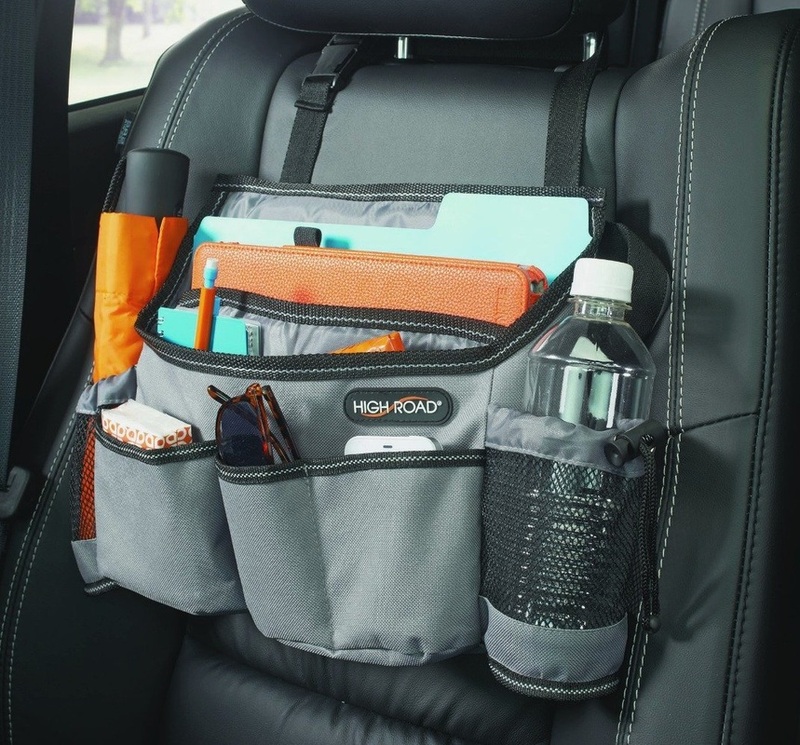 It protects the seats form dirt and damage from kicking feet as well as storage for activities for them to do on those road trips. If you find it all over the seat when you are home, at least it is a quick pickup when you have a place for everything. This works well for either front or back of the seat. In the front you can keep things from rolling all over the passenger seat and be able to find things quickly such as your water, or sunglasses without taking your eyes off the road. In the back seat it could hold all kinds of supplies including maps and notes. I love the idea of this for the front seat when driving alone. No more trying to fiddle with the glove box while driving. 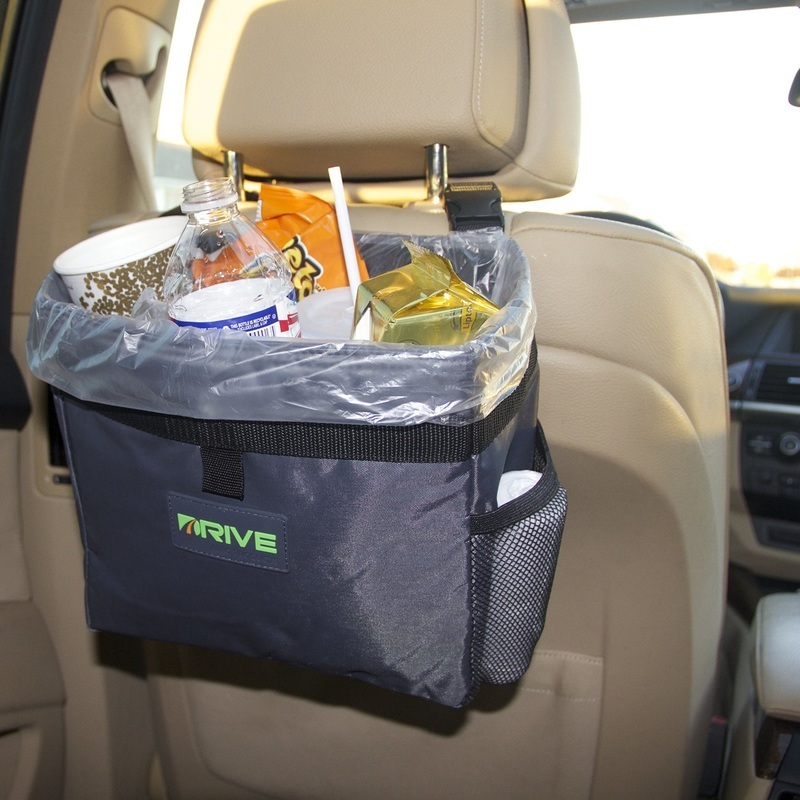 If garbage collects in your car like a bad smell then maybe the first investment should be a soft container such as the one pictures that can collect the garbage so that all you have to do is take the liner out and toss it. This can also double as a drink cooler. I always found wrappers to be the worst offender in the car, they always migrated between the seats or under them. This is not much different than in the house, just a smaller space. I have always found that if there were a place for everything chances are it would be put there. This might take some training for kids and adults, but at least if you do have to pick things up there is a place to put it. This makes life easier all around especially if you are in the car a lot.